This update is for weeks 17 and 18! We’re nearly halfway to meeting our sweet babe, and I can’t get over how fast time flies sometimes. This past week has been an interesting one! The first few days were a carryover from week 16, but I gradually started feeling more alive and less like I had to stay the day in bed. My stomach pain, burning, bloating, etc. all seem to have improved somewhat, which makes me want to jump for joy! I’m just a bit nervous to get my hopes up again, but I still need to remember that hoping is important for recovery. I’ve definitely felt our sweet little baby moving more this week! And I’m now noticing the movement at times other than just when I’m lying down and being perfectly still, trying to feel her. Oops- there I go again! Her. Less than two weeks until we find out if our babe is a mister or miss. It’s going to really throw me for a loop if this wee one is a boy! Other than extreme fatigue and a few pains here and there, everything’s been about the same pregnancy-wise. No crazy cravings or drama, praise the Lord! The Lord has been convicting me of the time I’m wasting on the internet when I’m tired or don’t feel well. I tend to gravitate toward using it as a crutch- almost like a drug to medicate myself. If I don’t feel well, I have the right to waste my life on meaningless pursuits. Not that I’ve thought those words exactly, but my actions have been reflecting them. Benj and I have been working on ways to help me stay on track, where I truly want to be. It’s not easy to break bad habits, but hopefully I’ll make more progress with diligence and prayer. I want to have a lot more good habits in place before baby arrives in just about 5 months! One thing I’ve created is a spreadsheet that breaks down everything we need to accomplish before baby’s arrival into weekly increments. So far, it’s been hugely helpful and I’ve even crossed a few things off. We’re nearly halfway to my due date. I can hardly believe it! 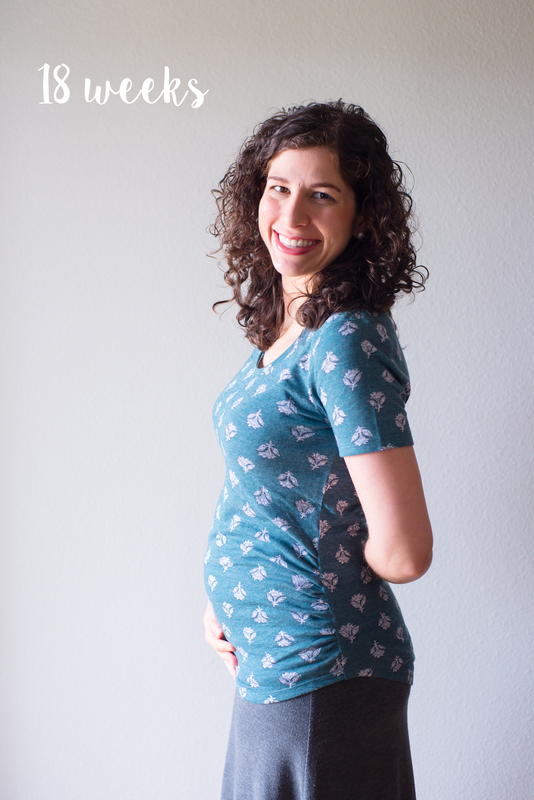 This past week was pretty uneventful overall, but I’m definitely feeling more and more pregnant as time passes! I’m having some round ligament pain when I move too quickly, but as long as I take it slow, it’s not too bad. I’m definitely not sleeping as well because I can’t seem to find a comfortable position for very long. We bought a big pregnancy pillow, and I’m going to test it out to see if it helps me sleep or drives me crazy. At my appointment last Friday, Satya did the smart baby points again after my usual acupuncture. It burned a little, but I’m hoping it helps baby with the increased and changed blood flow. Benj has been really great about helping me get out and walk! We also went blueberry picking again and picked almost 20 pounds of berries! Our freezer is stocked with about 4 gallon-sized baggies full of delicious berries. Blueberry picking is such great exercise, and it’s a wonderful way to get some fresh air. We’ve gone 3 times already, and I’ll be sad when the season’s over. I know that exercise is crucial during pregnancy, and I don’t want to take it as lightly as I have been so far this pregnancy. I really think yoga would be beneficial to healing my stomach issues, which we’re supposing might be affected by an under-active vagus nerve. T-Tapp would also be great for helping activate my vagus. Satya has been targeting my vagus during our acupuncture sessions. This week, I plan to prioritize exercise. It’s hard when I’m feeling unwell, but I need to view it as crucial to a healthy pregnancy! Even cycling inside might be a good option if I’m feeling up to it. We are so super excited to find out whether our little babe is a mister or miss in just 5 days!